Home > Free > Recyclebank Quiz: Bathroom Recycling Solutions, 30 Points! Recyclebank Quiz: Bathroom Recycling Solutions, 30 Points! 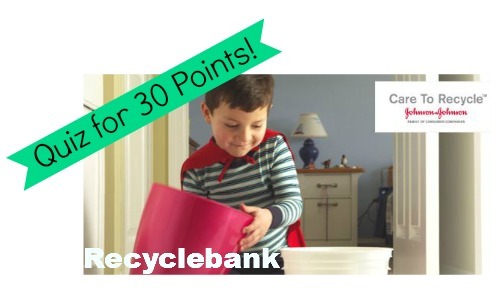 Looking for new ways to earn more Recyclebank points? There is a new Learn & Earn Opportunity to take a quiz worth (30) points about bathroom recycling solutions. If you’re not familiar with Recyclebank, you can earn points through quizzes and pledges about sustainability to receive high-value coupons on things like movie tickets, restaurants, and grocery stores. I spy a $1 off Turkey Hill Ice Cream coupon for (50) points. It’s FREE to sign-up! You’ll learn some new things while saving money in the process! Check out all the quizzes they have to offer and start earning points and great coupons.